To be clear, I've been logging serial numbers only. My stamp # observation one month ago, was from a quick sample of pics on hand at that moment. I did obviously find higher numbers shortly afterwards, but my only point was that most numbers from the small sample had low second numbers. This is by no means an effort to offend you or your friend - just a statement of observations borne of knowledge. Body : truth be told I am a little shocked. The body looks genuine 1978. 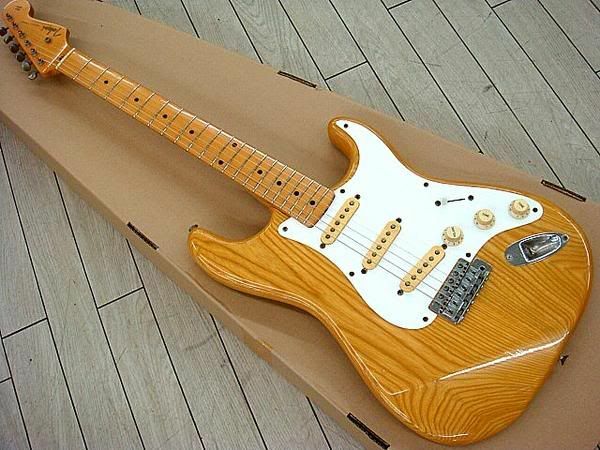 All the hallmarks are there for a high-end body, possibly ST-80. The neck pocket grain is ash and the control cavity has no shoulder [required for 11-screw pickguard] Ash is quite porous and tends to soak up the finish, leaving it irregular and not smooth, hence the introduction of alder. 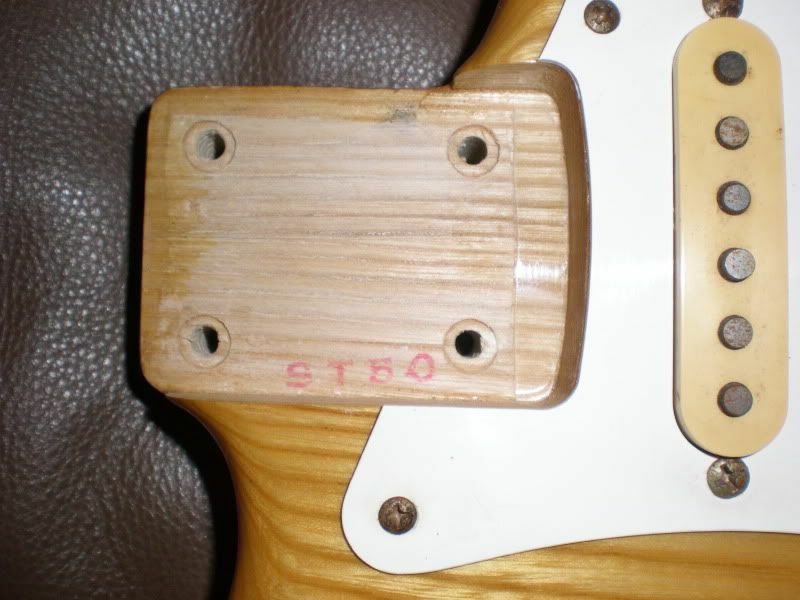 The shot of the front pickup cavity clearly shows the finish absorbtion by the grain - alder would not be so violent. By 1979 all ST and SS bodies, ash or alder, had the cavity shoulder. Another anomaly, two different codes on the same body. 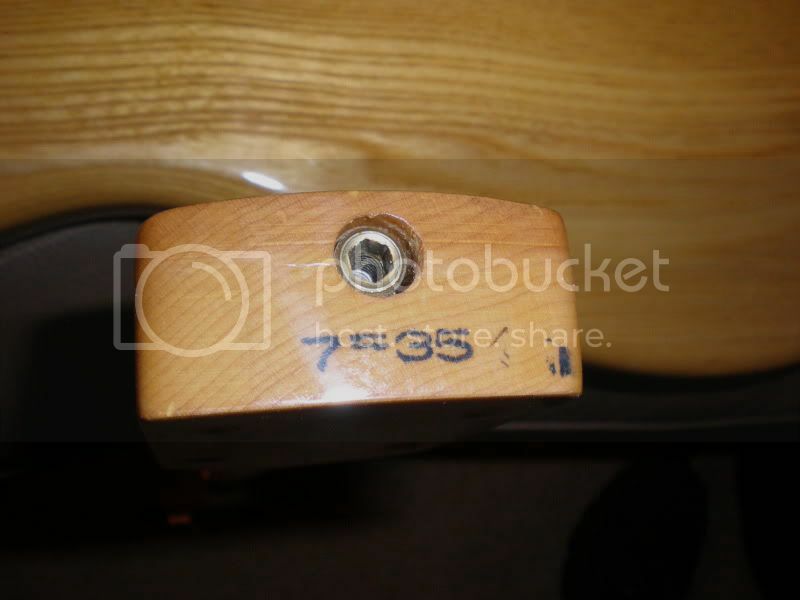 I?m a little confused here, what do you mean by neck, the neck heel, neck pickup cavity or neck pocket? I refer to the body code only, not the neck heel/body codes. Only 1 body code in your example, my example has 2 different body codes. 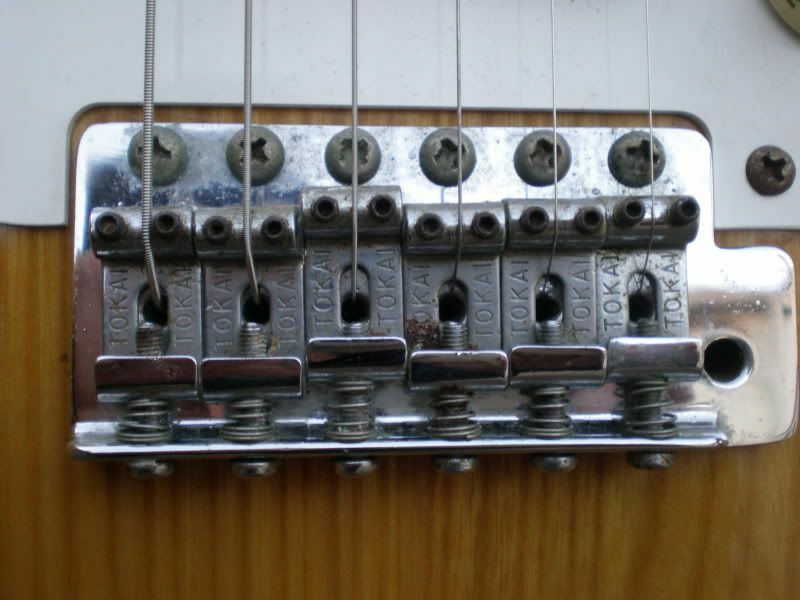 Neck = neck code to me, otherwise I would say neck pickup cavity code. Just another contribution to the mismatch pool. I asked because your example contains only 2 code series. And I thought you were referring to the example in my previous post, the 2 series of codes on one and the same body. 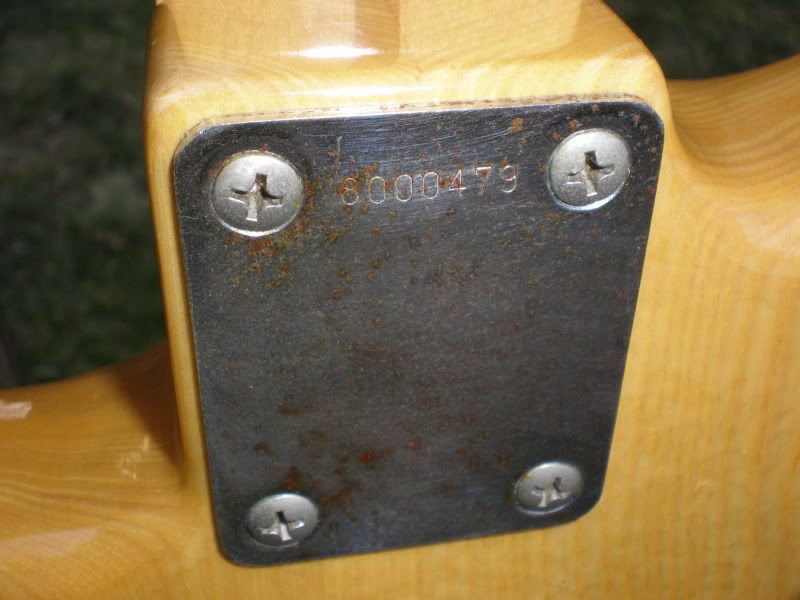 The neck appears original per the codes but there is also the tooling marks in the neck cavity.I have inspected them and there is no evidence of being plugged.If someone were to drill and plug I would think the plug would be flush and not recessed. 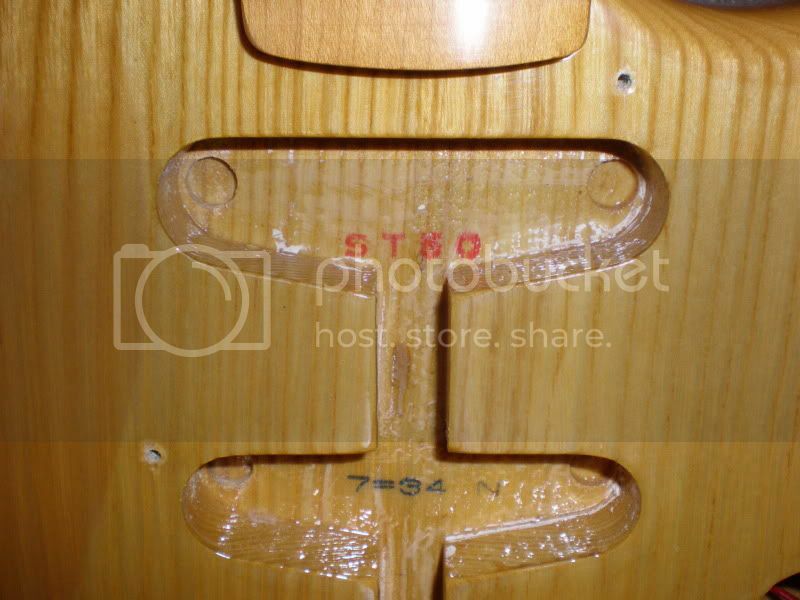 Also the serial number is pre 8002xxx and is stamped into the cover which I believe Peter said shouldn't be.The 50 stamp is also missing from the last fret?? Model type stamp on body = no fretboard stamp. That is normal for 1978. Normal neck plate = serial number etched on neck plate, small neck plate = serial number stamped on neck. So that's also normal. What Peter meant was that up to about 8002000 there's a mix of both small and normal neck plates. After that only the normal neck plate variety. "any explanations/info with regarding those cavity markings? These are production schedules: 4 = 3 for example means: The third bulk/ charge of guitars in the month April. In the past I was meaning that would be matching codes. To match and fit the correct neck ino the neck pocket of the body. I met one month ago the president of Tokai. I told him my meaning. 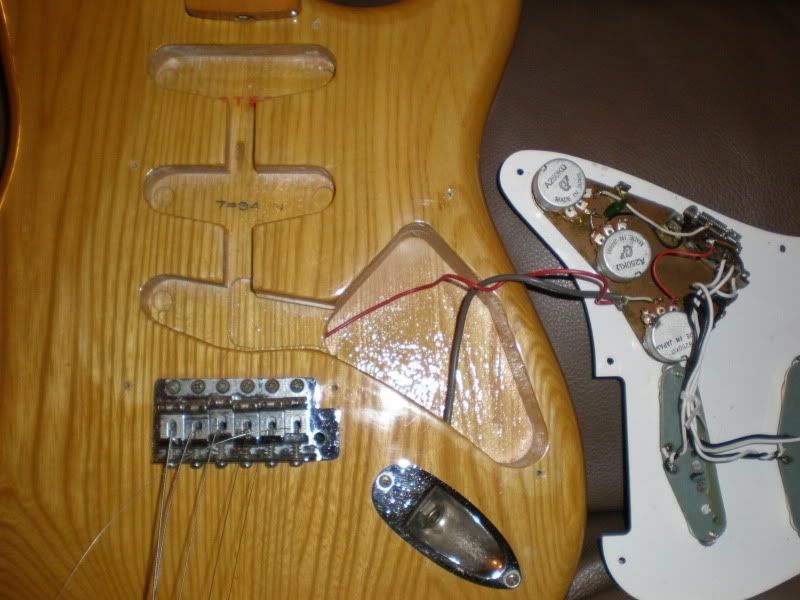 He was loughing and said: "Oh no, instead of Fender ... our tool machines were working very correct in the eighties. There were no need to use match codes"
So this is very interesting info - the codes appear to have a purpose, and in most cases they would match, but because the quality was so consistent, it was not necessary to match codes.